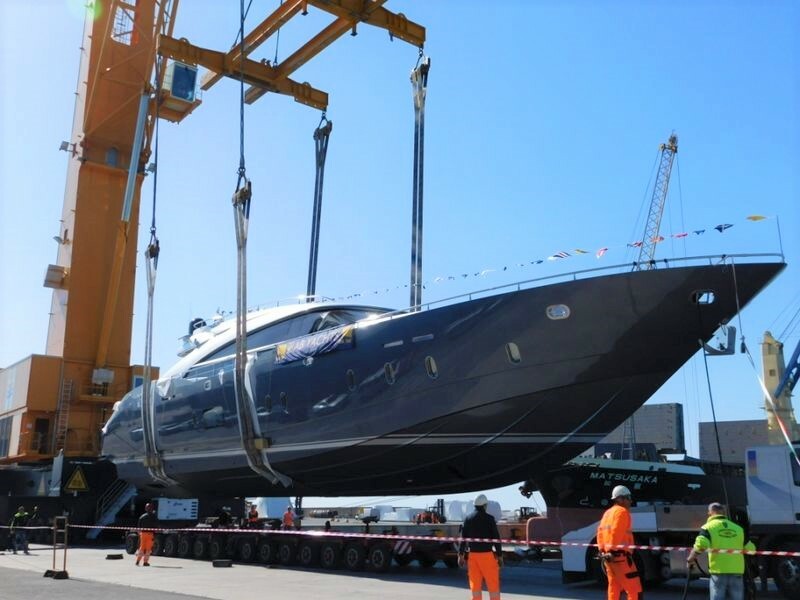 See what the worlds leading International and Nationwide boat and yacht transport can do for you. 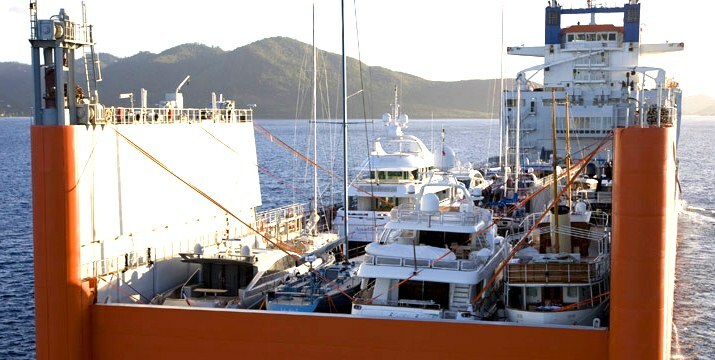 ONE WORLD SHIPPING NETWORK, has over 25 years of experience in Shipping & Transporting Boats & Yachts via Land, Sea or Air. Our commitment is to provide professional and personalized service which is the basis of our success and we extend that commitment to exceed our client’s expectations. Regardless of your requirements we will find the right solution to Ship and/or Transport your Boat and/or Yacht to and from the Continental U.S. and anywhere in the world with the utmost efficiency & security. Cranes and derricks are used to load and offload cargo over the top of freight ships. With lift-on/lift-off method, cargo is loaded and discharged over the top of the vessel using handling equipment such as cranes, allowing for cargo to be loaded onto a specific location on the ship or if transported via land, on to truck. Learn more..
Securely placing your smaller boat in a standalone container or consolidated together with other similar shipment types. Containerized provides service for smaller boats that can securely fit on a Flat Rack or in a Enclosed or open container. In Enclosed Container with the proper loading or custom built cradle your boat is protected from outside elements that can harm your shipment. Definitely, it is the most secure way to ship your small boat. 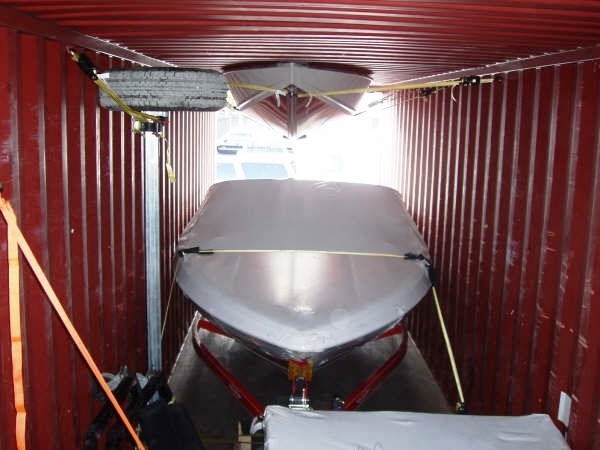 On the other hand, in an Open Container or Flat Rack with a well supported and specialized customs built cradle, as well as, proper bracing, lashing and/or blocking your boat will be secure and safe for shipping, but unlike in an Enclosed Container, your boat or Yacht will be exposed to outside elements. Consolidated Service is often a more cost-effective method for boats that fit in standard container dimensions and can be stuffed with other general merchandise going to the same destination. In Water Delivery is a basic level of service where the Service Provider captains the boat to be transported on the water to the destination. This service is useful for moving large boats, transporting a boat internationally and for shipments with a practical water route. Rate varies depending on the size of the boat, the crew required and the number of days for the trip. With no height restrictions, transporting your boat on the main deck of the cargo ship, allows for optimal maneuverability. Cargo is carried outside (on the deck) rather than within the enclosed cargo spaces of a vessel. Typically it is less expensive to ship as deck cargo with a conventional cargo ship however service is limited to size and weight. The major advantage of On Deck Cargo is that there are no height limitations imposed on the vessels. Therefore, it is ideal for maneuvering and transporting large yachts, custom-built vessels, and sail boats without the need to un-step tall masts. Due to significant height and size requirements of some vessels, transporting them as On Deck Cargo allows for optimal maneuverability and convenience. The major advantage of On Deck Cargo is that there are no height limitations imposed on the vessels. Therefore, it is ideal for maneuvering and transporting large yachts, custom-built vessels, and sail boats without the need to un-step tall masts. Due to significant height and size requirements of some vessels, transporting them as On Deck Cargo allows for optimal maneuverability and convenience.